The mayor of Lexington, Kentucky, is speeding up the relocation of Confederate statues in the wake of Saturday’s violent clashes and a car-ramming incident in Charlottesville, in neighboring Virginia. 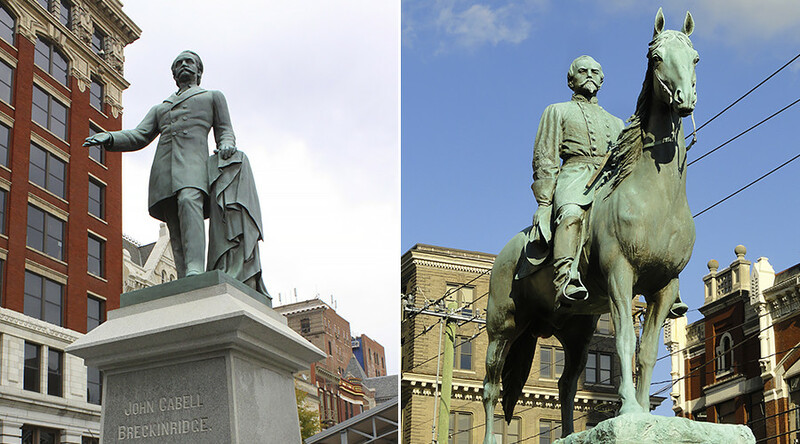 On Saturday, Lexington Mayor Jim Gray said that Confederate-era symbols – statues of Generals Breckinridge and Hunt Morgan – will be taken down from the historic courthouse in Lexington. “I am taking action to relocate the Confederate statues. We have thoroughly examined this issue, and heard from many of our citizens,” Gray tweeted. He added that the situation in Charlottesville pushed him to announcing the decision a week earlier than initially intended. The mayor is to call on the Lexington-Fayette County Urban County Council to ask the Kentucky Military Heritage Commission for permission to remove the controversial statues of the two Confederate generals. The mayor seems to have changed his mind about the issue, as he previously wanted to keep the monuments, despite the recommendations of an arts review board. The planned relocation of a monument to Confederate General Robert E. Lee from a park led to Saturday’s protests in Charlottesville. Tensions flared during the event as counter-protesters faced off with the far-right crowd. One woman was killed and 19 people were injured when a car ran into anti-far-right demonstrators.